“We are human beings, not animals.” These are the sad and glacial words written on a letter in Mandarin Chinese in 1995 by Wang Junxia, word record holder of 3000 and 10.000 meters. It looks like a history of experiments and abuses done for the sake of giving glory to Chinese Popular Republic in the world of sport, similarly to what happened in the 80’s for URSS and East Germany. Ma Junren in the 90’s is the Chinese long-distance runners’ coach, trained with method and military discipline. They called them “The Ma Army”: athletes forced to an almost monastic life with intense training in Tibet, being forbidden to have long hair and obliged to eat turtle broth, the magic elixir which, according to Junren, was the lymph for the records. In 1993 only, the team destroyed a total of 66 records, among national and world ones. Wang Junxia, diamond point of the Ma Army, after having won a medal in the 10.000m at Seoul Junior World Championships, made the famous ‘class jump’ up to the Olympus of the long distance with sensational results one year later only. She won the 10.000m gold at the IAAF World Championships in Stuttgart in 30’49”30, despite claiming to be ill before the race. 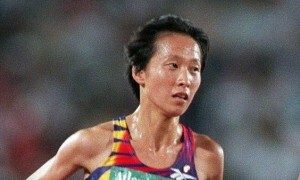 Three weeks later, Wang astonished the world, becoming the first woman below the half an hour on the 10.000: 29’31”78, a time followed by the record in the 3000, set at 8’06”11. 20 years later, Junxia’s words in the letter provoke rage but also compassion, for athletes forced to dope for the sake of the State. A controversial figure, Ma was the Chinese national coach until Sydney 2000, when 6 athletes of the team were suspended before the Olympics for having failed an antidoping test. It looks like the Chinese trainer took a bonus from the state on the base of his athletes’ results, who were evidently helped not only by the turtle’s broth. IAAF will now move with much caution, since some Chinese athletes of that brigade were also inserted in the World Federation Hall of Fame. The first move will be authenticating the letter which, if shown to be true, would give an advantage point to British Athletics which has already said and repeated to be in agreement with the deleting of the World Records.